Smuggler. Scoundrel. General. Han Solo has left a lasting impact on the Star Wars galaxy and soon hell be able to join the ranks of your army in Star Wars: Legion. 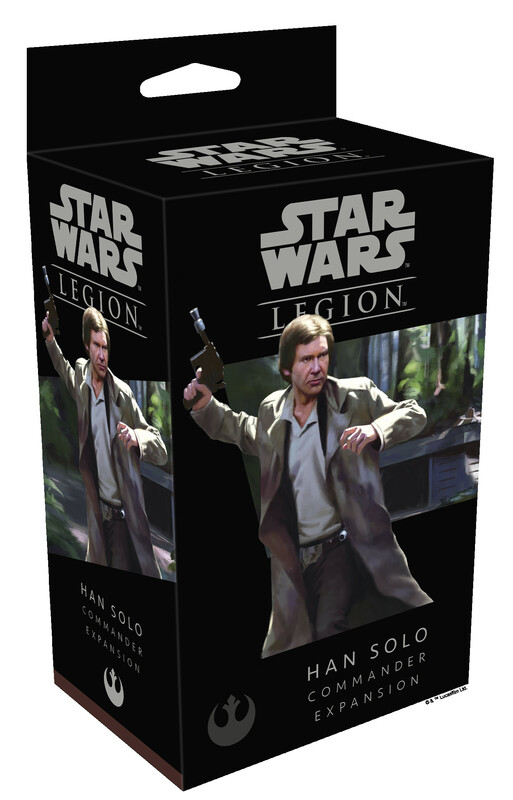 The Han Solo Commander Expansion includes everything you need to add Han to your army as a commander. A single unpainted, easily assembled miniature represents Han on the battlefield, while a unit card outlines all his abilities. Additionally, his three personal command cards reflect his style as gunslinging smuggler and new upgrade cards allow you to add your personal touch to Han or your other units.